There are many people out there who are willing to bring their Android experience to the PC. From testing new applications on PC to playing Android games on PC, there are many reasons why anyone would love to use Android emulator on PC. Most commonly used by gamers to play Android games, it becomes really easy for a gamer to play games using keyboard and mouse than playing on a small screen. Moreover, the battery issue gets resolved while playing on PC which means you don’t have to fill up your tank again and again to use the device. You can explore ordering various Android Emulators online with latest Amazon Offers today. So, there are many valid reasons why anyone would need Android emulators on PC. Bluestacks is one of the most used Android emulators in the market. Both compatible with Windows and Mac, this Android emulator works totally fine and provide regular updates. Comparing it to the Bluestacks 3 itself, the fourth version is said to be eight times faster than the latter. The usage is really easy- all thanks to the simple and smooth UI integrated by the company. Bluestacks 4 allows you to play multiple games at the same time. For making things more easier, the company has included key-mapping and settings for games. Bluestacks runs on the Android 7.1.2 Nouget. There are both a free and a premium version available for the Bluestacks 4. KoPlayer is not the oldest player in the market of Android emulators but still, it has managed to get a comfortable place for itself. Mainly targetting the gaming audience, the KoPlayer has managed to use key-mapping to couple your emulator with your keyboard. Moreover, you can easily record your gaming session and post it on YouTube or wherever you want to. Although it is targetting the gaming audience, still it is not that bad when it comes to productive work. So, if you are looking for a free of cost Android emulator, then the KoPlayer is not a bad choice. Another one targeting the gaming people! MEmu is another good Android emulator which can turn up to. This emulator has support for both graphics card chipsets whether it is Intel or AMD. Just like Bluestacks 4, this one too provides the freedom to run multiple instances of different games at once. From key-mapping, good SDcard volume to simple UI, the MEmu team is always working to make its product better and better. The speed is perfectly fine with no lags or hiccups in the experience. Moreover, it supports Android versions from Jelly Bean to Lollipop. Using it as a productivity tool gives you the same good expected experience- no complaints in it! If you are a developer and looking for any Android emulator, then this one might satisfy your purpose. Genymotion straightly targets the developers and works both on the Mac and Windows operating system. You can easily test your apps on 3000+ virtual different devices on different Android versions using this Android emulator. Although it also provides good gaming experience too, still its core stays for developers usage. Compatible with both Android SDK tools and Android Studio, you can now easily test your apps on various Android browsers. Genymotion is available for free of cost with some paid features in it. 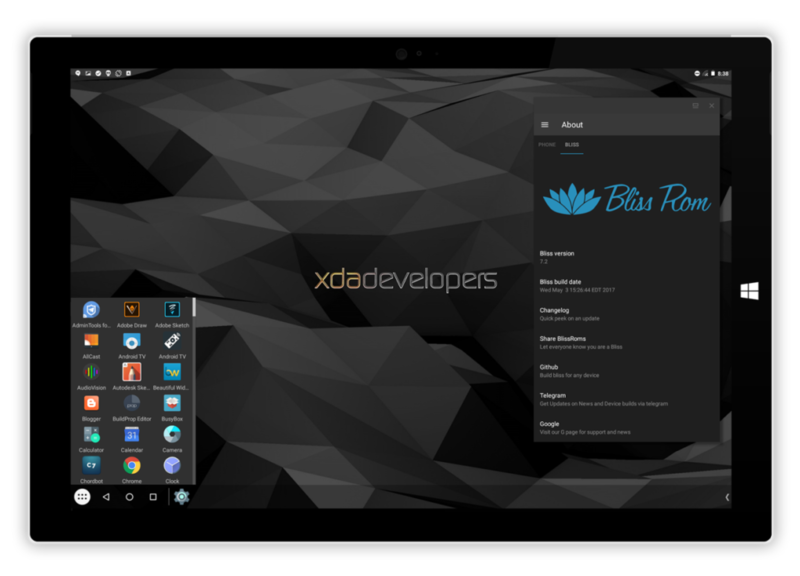 Nox is yet another Android emulator for PC gamers. It contains all the features any other gaming niche Android emulator would have like key-mapping, controller support and gesture controls too. The main feature of this emulator is the recording of the script and using multiple instances at the same time. Compatible with AMD only, it is based on Android 4.4.2 and the Android 5.1.1. 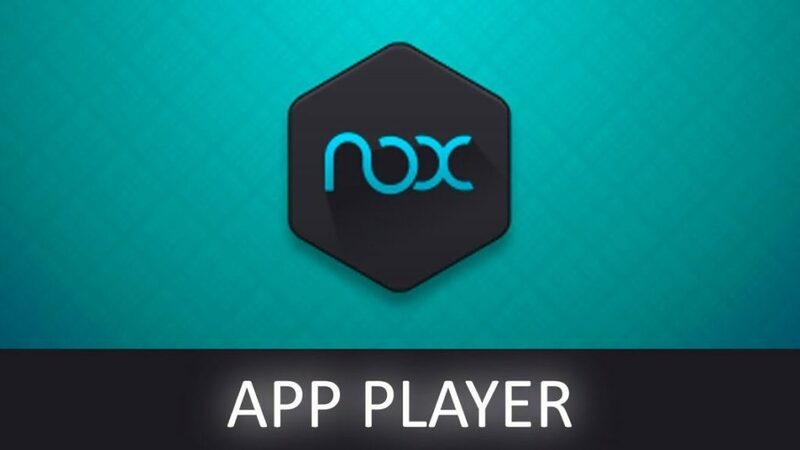 Nox App Player is free of cost and is in active development right now. In the list of best Android emulators, this one is the most unique Android emulator among all as it works through a virtual machine. Though this can run straight out using a USB drive on your computer, but the installation process as a virtual machine is very easy as compared to the USB installation method. Also, the USB installation trick allows your computer to run as fully Android straight from the start or boot. That’s what makes this Android emulator a unique out of all listed. If your system is compatible with the requirements of this Android emulator, it will work perfectly fine and run Android Oreo on it. Bliss is made for the tech nerds totally and is available free of cost. 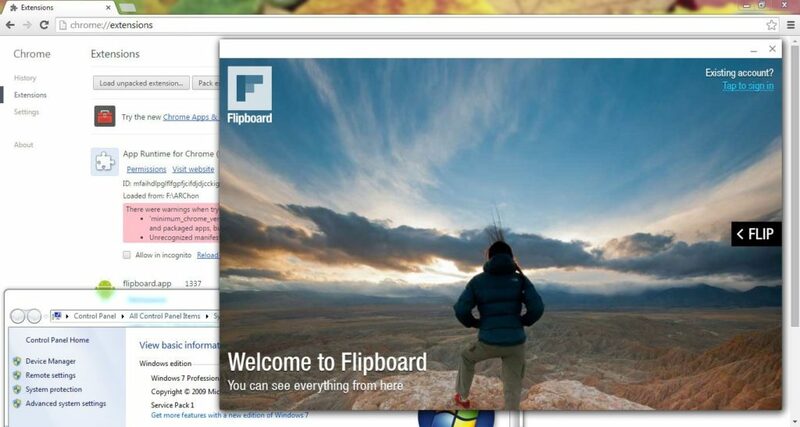 Unlike every other Android emulator for PC, this one can be installed as a Google Chrome extension. 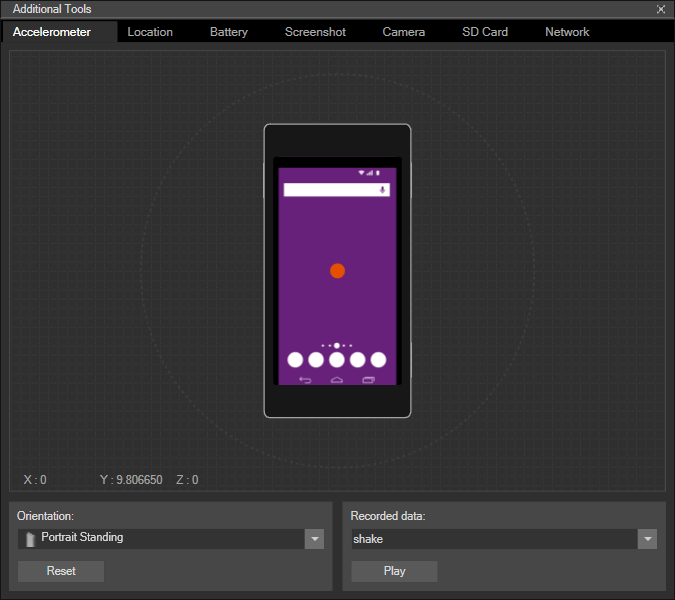 Using it, Chrome can easily run Android games and applications. Moreover, unlike every other emulator, it doesn’t give a plethora of support and it isn’t easy to run applications on it. Firstly, install the extension on Chrome and then get the APKs to run them in. Moreover, you will not find every APK file compatible. So, you might have to look for another tool to make them compatible. This can run on any operating system- from Mac OS, Linux to Windows. ARchon is available on GitHub and you can get the further instructions from there. 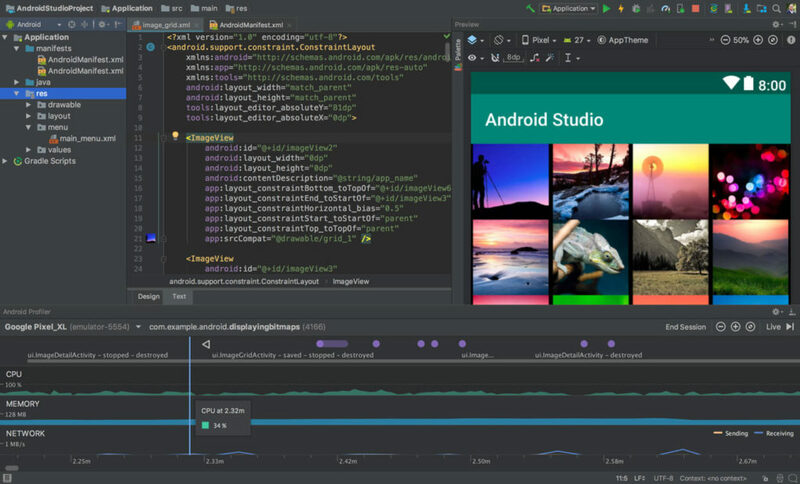 For Android, there is a development console called Android Studio which has in-built tools which help game or app developers a lot in building their products. There are many tools for the developers to do their work especially a build in emulator to test their app s and games on PC environment. But, there is a catch- the installation process is quite complicated and takes a long time. So, if you are someone who is looking for an emulator just for gaming purpose, it isn’t the one for you. But, for developers, this is the one which will rock your day for testing apps and games. Also, the Android Studio supports Kotlin in case developers. 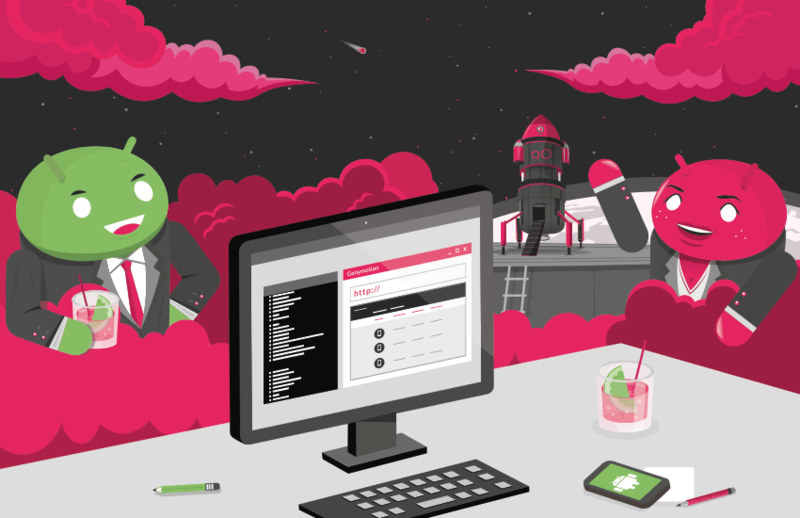 The Android Studio is free of cost and the best for developers- period! 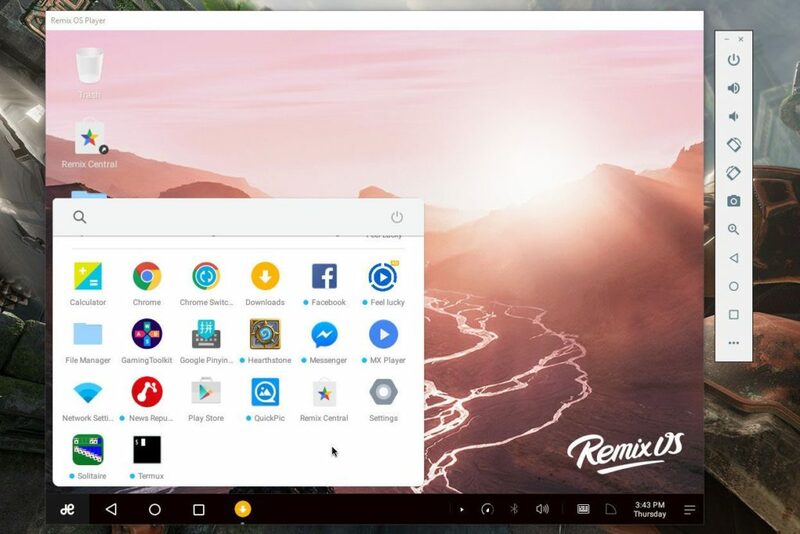 Although it is one of the newer Android emulators for PC, Remix OS Player is one of the best Android emulators in the market. 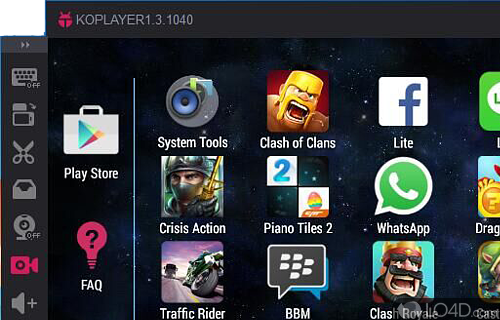 With a very simple user interface, the emulator is basically targeting the gaming niche. The installation process is fairly simple and it runs Android Marshmallow. You can play multiple games at the same time and also the features like multi-tasking- playing games with chat session opened makes it the top player in the market. Using it as a productivity tool works fairly fine too as it is somewhat similar to Android Studio. So, an Android developer can use it to clean and optimize their application for the PC environment. Remix OS Player is free for downloading and is available on the Jide website. Just like Android Studio, Xamarin is an IDE which can get going with the heavy applications like Microsoft Visual Studio for a better and bigger development environment. Xamarin also packs an in-built emulator for an app and game testing just like Android Studio. Mostly used by developers, Xamarin works fine on gaming too. Still, it’s core settles in the app development field. The user interface and setup is really simple and fair, Although it is not as fast and power-packed like Genymotion, still it gets you going- no complaints whatsoever. There are many features which you can play with and configure them according to your needs, Xamarin is free to download for personal use but companies might have to go for premium plans. There are many other Android emulators for PC too which you can try out, but till now these are the best which will satisfy your needs and serve the purpose at their very best. MacX MediaTrans Review: Best iTunes Alternative for Mac?